A quick single panel this week, still building up to them meeting the boss. 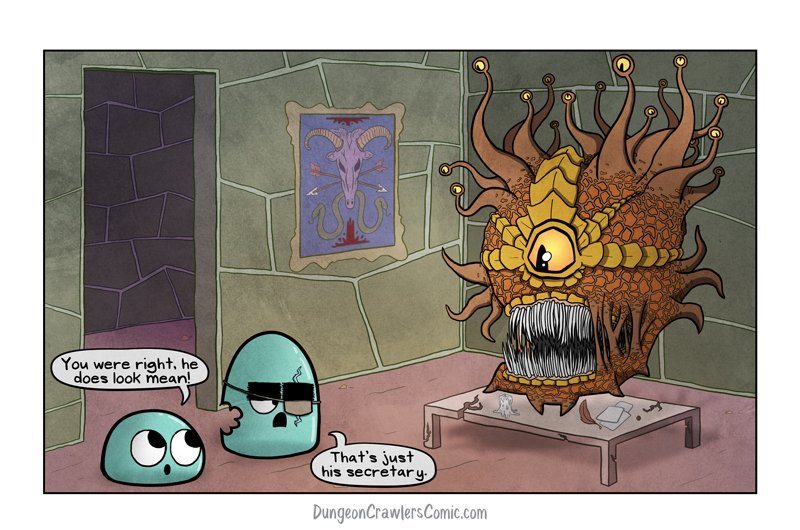 I almost forgot, for those who don’t play D&D, that is a beholder in the role of the boss’s secretary. And it is a woman, even though technically beholder’s are gender neutral, but this is my comic so blah. Beholder’s were one of the enemies in the first edition of Dungeons and Dragons and have stood the test of time for the most part. 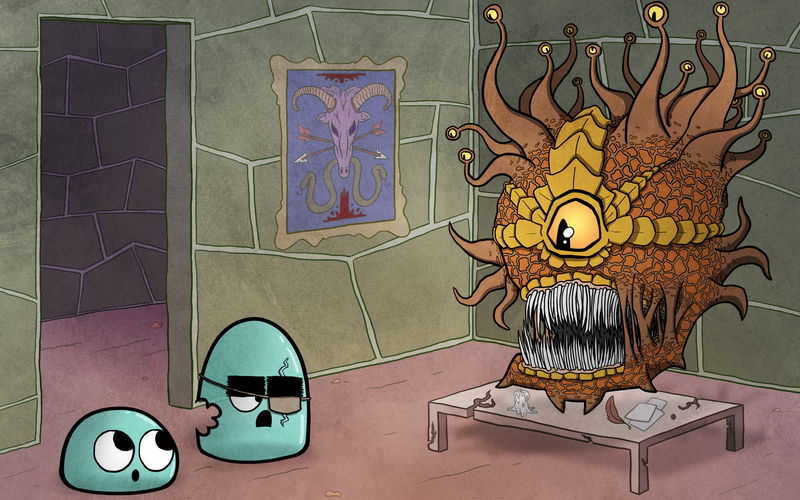 I think this image here is the original beholder drawing, and coincidentally my favorite. Haha I like how she has a pen and paper on the desk. I’m picturing her writing with it.